If you are a fully abled individual without any sensory or mobility issues, you may not notice what’s wrong with this picture. For months and months now i’ve been waiting for a response to what prompted this entire thing in the first place which i’ve described in the video above. Summer, 2017. I had just attended my very first Autism meet up and was feeling like I finally fit in with people. I felt good about myself. I was happy. I also had time to kill and thought it was a great opportunity to visit Metropolis at Metrotown in Burnaby BC, it was on my way home and I thought I could get a few things done. I noticed an Urban Decay store and they were celebrating their birthday in the mall. How exciting, I thought to myself. I love their products, the pigmentation and thought that this was just super cool and I wanted to get in on the action. My heart sank and the mood quickly changed. This is why. Yes, it may look like your very ordinary wind booth where you have various pieces of paper flying around but only ONE will win you a coveted full size product. I couldn’t figure out what someone who had sensory issues or mobility issues was to do since they were not presented with that opportunity. I was sweaty, anxious, visibly upset and mustered up all the courage I had inside of me to march in to the store and ask for a manager and said I wanted to speak to the marketing department, that I was an autistic individual and didn’t think it was inclusive at all. I met this lady, Tania Garrigo-Meza and she did not tell me she wasn’t the manager, she’s actually the “Retail Biz Dev and Education Executive for Urban Decay Cosmetics”. Her response to me was the most disingenuous “oh, i’m sorry, our marketing team just left!”. Ugh. I asked for a pen and paper and she reluctantly gave me it. I wrote down my information, expecting a prompt response. Did I get one? NOPE. I then found her on Instagram. I found her with pictures of the staff and yes, I commented in regards to this situation. The assistant manager contacted me. She knew nothing of what happened. I wrote to every single channel I could possibly think of. Facebook, Twitter, Instagram, Email and LinkedIn. Thank you for sending all the communications. In terms of future contests/promotions, nothing has been determined yet but we have certainly learned a great deal from your experience. It would be my pleasure to send you the full-size product at home, unless you prefer something else. Please let me know. A course of action? Policy change? Nope. Just excuses, excuses, excuses. There isn’t a single person who wants to take responsibility for this and wants to come up with a policy for inclusivity moving forward. Falling. Sure, it’s climbing back up there–but maybe they’d learn a thing or two, if, OH, I DON’T KNOW- they LISTENED to their (former) customer base? I just want a policy where they have criteria that ANY promotion has to meet to include EVERYONE from ALL walks of life and ALL abilities. L’Oreal owns ALL THESE BRANDS and until I get a response or a resolution, i’m not supporting them and i’m not wearing them. You know what else is complete irony? 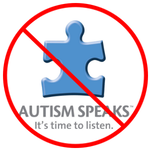 They are working with AUTISM SPEAKS which is all kinds of HORRIBLE! MMMM EUGENICS. Want to make your voice heard since they’re not hearing me?